Dr. Soliman graduated with honors from the University of Alexandria in Egypt. 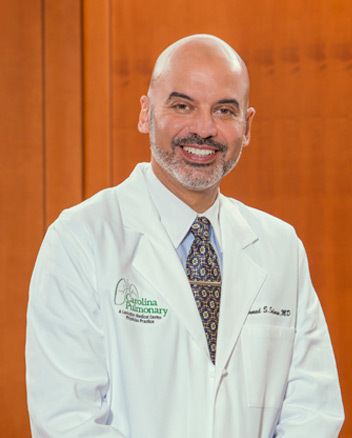 After coming to the U.S. to further his training, he completed a three-year internal medicine residency and a one-year chief residency, followed by a fellowship in critical care at the University of Pittsburgh in Pa. Dr. Soliman then proceeded to Lenox Hill Hospital in New York to complete additional training with a pulmonary fellowship. He is a fellow of the American College of Chest Physicians (ACCP) and a member of the American Thoracic Society (ATS) and the American Academy of Sleep Medicine (AASM). He also serves as the director for Lexington Sleep Solutions in Irmo and Northeast Columbia. Dr. Soliman was named as one of Castle Connoly’s Top Doctors ® in 2015 and 2016.